Electronic music evolves at a rapid pace, but sometimes the most radical changes happen slowly. 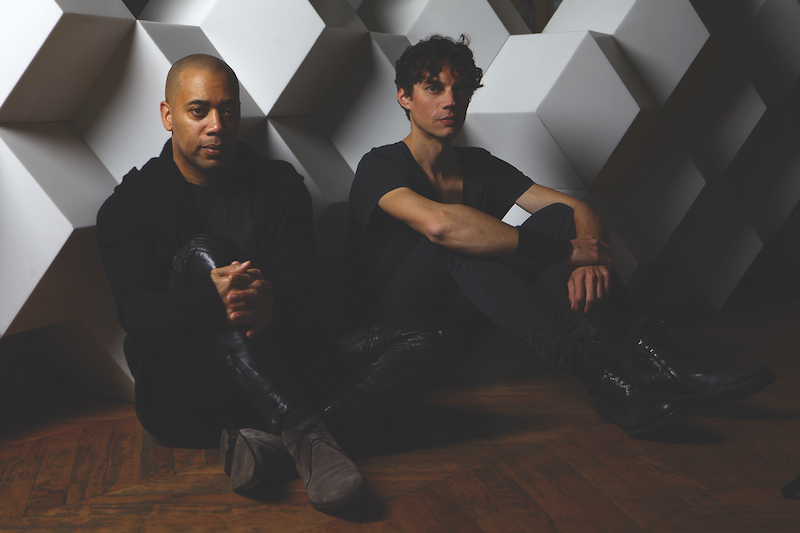 In the case of Carl Craig’s new album, ’Versus’, nearly a decade has gone by since the initial concept took shape on a stage in Paris. In spite of this long gestation period, the Detroit producer’s latest long-player will surely be one of 2017’s landmark albums. More importantly though, it marks a significant development for the techno form as it dovetails seamlessly with classical music. The origins of ‘Versus’ can be traced back to a one-off live show in 2008, when Craig performed in Paris with Les Siècles Orchestra, conducted by François-Xavier Roth. Also treading the boards during that fateful event was Basic Channel founder Moritz von Oswald and Francesco Tristano, who has worked with Craig on a variety of releases over the years. So why did it take so long for Craig, the orchestra and his long-term collaborator Tristano — who arranged all of the tracks on ‘Versus’ — to put together the album? “We started out working on this a long, long time ago, it’s been a work in progress for many years,” Craig explains to DJ Mag over a crackling FaceTime connection the afternoon after a gig at the Winter Music Conference in Miami. “There was a lot of preparation involved because we needed so much time to tweak and perfect it. Also, I wanted the project to be as perfect as possible before it came out. Working with the orchestra meant that we could have all the different parts separated. It allowed for more manipulation than if it was altogether in one room,” he adds. This approach is a long way from Craig’s roots, and he admits that working on ‘Versus’ was “a big learning curve. This was the first time that I had ever done something like this. I have been involved with projects like The Detroit Experiment, Urban Tribe and Innerzone Orchestra over the years where I wasn’t working alone, but with these projects, I was closer to the type of music production that I’m used to,” he points out. Unlike those collaborations, ‘Versus’ evolved from a live performance and not off the back of studio sessions. The tracks that feature on the album are derived mainly from Craig’s extensive back catalogue and include classics like ‘At Les’, ‘Desire’ and ‘Domina’, alongside a series of interludes and, somewhat conspicuously, Tristano’s ‘The Melody’ track re-imagined by Les Siècles Orchestra. “‘Melody’ is included because we did it as part of the live performance [in 2008]. Every piece that is on the album was performed live,” Craig tells DJ Mag. Originally released in 2008, ‘The Melody’ was also the first Tristano arrangement that Craig remixed. It started a creative relationship that has flourished over the intervening years, with the Planet E owner citing the Luxembourg pianist’s role as being central to the production of ‘Versus’. “It was important from the beginning that the project would involve Francesco. He has an intimate relationship with the orchestra, and I don’t. He has a clear idea of what a violin can do, and I don’t,” Carl explains. Nonetheless, he says that he was willing to be guided by the orchestra and he had no problem assuming the new role of pupil. “It was a very new situation for me. I had to let the conductor be the boss, but I was totally open to that. I have a bit of history following a conductor, as I was a musician as a kid. I can’t be boss all the time (laughs), you just gotta swallow your ego and be a follower rather than a leader. I had no problem with it because it’s really important for artists to be the pupil and not always the teacher, to learn from the experiences of others,” he says. Certainly, his willingness to allow others to take the lead has paid off. ‘Versus’ is unique in that it maps out a new, seamless fusion of techno and classical music. On the new version of 2005’s ‘Darkness’, it is impossible to tell where the acoustic elements end and the electronic components start as Craig and his collaborators fuse dramatic strings and a mechanical, metallic groove to create a shimmeringly futuristic new version. Elsewhere, other Craig classics assume new forms. ‘At Les’, the beautifully melancholic deep techno track, which originally appeared on 1997’s ‘More Songs About Food & Revolutionary Art’ album, features a four-minute opening section that features strings, woodwind and flutes building up until rolling drums and a buzzing bass bring it to a thrilling crescendo. Similarly on 2004’s ‘Sandstorms’, piano key stabs and raucous brass give way to a pulsing bass and tough kicks. “When we performed it [‘At Les’] with the orchestra, it became this epic piece as opposed to the dreamy piece that you know from the album,” Carl explains. “A lot of the original pieces turned into these party tracks — ‘Sandstorms’ and ‘Domina’ were like that, and I was happy that they turned out that way. They became the kind of tracks that you could have on while you are having a good time,” he says. One of the underlying principles driving ‘Versus’ is its author’s willingness to re-interpret some of his benchmark records. However, many people see tracks like ‘Desire’ and ‘Domina’ representing the highest watermark in techno, the closest one can get to perfection. While ‘Desire’ is the subject of a particularly impressive rework — sensuous strings and sonorous piano unravelling over a gentle backbeat — what would Craig say to fans who feel that these tracks should not have been tampered with? Carl is at pains to point out that everyone involved in the project was sensitive towards the heritage and calibre of the original material involved. “Sometimes an artist updating their catalogue can sound very corny, and we were all conscious of not sounding corny. But by doing these tracks with Francesco and the orchestra, it meant it felt like we were doing them in a proper, respectful manner,” Craig feels. While working in a new way, Craig still kept his focus on existing material. Given that he was performing and producing in this environment, was he not tempted to record new material with them? “When we first performed ‘Versus’ back in 2008, there could have been pieces written then, but not all of my music is transferrable to that format. The next ‘Versus’ could look at that [new material] and it’s certainly in the back of my mind,” he points out, while explaining that there were other considerations as to why they didn’t produce new music. “At the time when we did the show, I didn’t know if any recording would be with the same orchestra or with different performers,” he continues. “I also wanted to take the project on the road to see how that would work out. The thing is that working with orchestras is quite different to touring as a DJ. It requires a lot more preparation and planning, and many orchestras are likely to be booked up in advance for two years. We are definitely going to do live shows for the album and we have about 10 gigs already planned with just synths — there may be some orchestral performances,” Carl says. ‘Versus’ is a long, long way from the Detroit producer’s roots, but it is also a logical progression both for Craig and for techno generally. DJ Mag asks him if he feels that working with classical musicians, conductors and orchestras means that techno music has developed into a very ‘grown-up’ form? “You know, techno has always been typecast as being made just with drum machines, with 909s and 808s, but that’s only because the guys who were starting out had no other devices or equipment available, so that’s what they used at the time,” he explains. Carl also contrasts the prescriptive structures that techno is boxed in by with the freeform approach afforded to other music styles. “Questioning a techno producer is the same as saying to a band, ‘Well, that isn’t really a rock album because your musicians are using a certain type of drum or guitar’. How stupid would that sound?” he asks, incredulously. 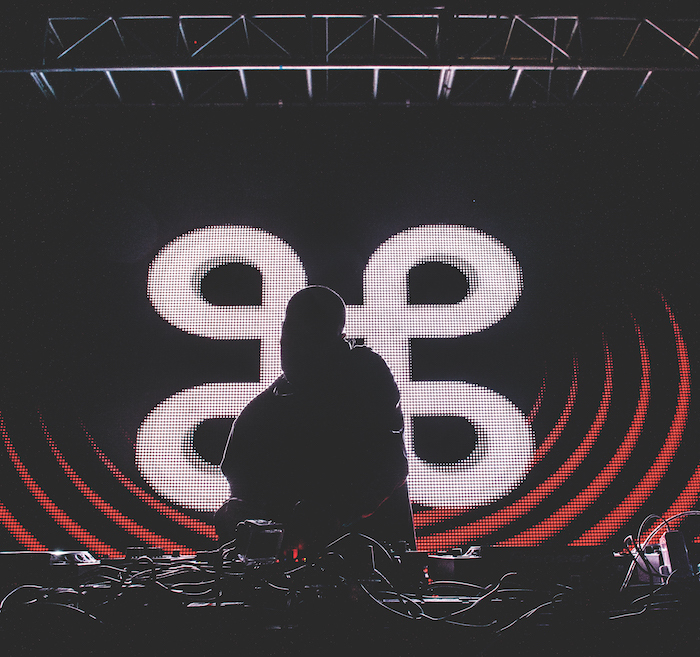 Craig has form when it comes to pushing electronic music’s boundaries. ‘Bug In The Bassbin’, his 1992 track as Innerzone Orchestra, was one of jungle’s earliest iterations, and he teased out this sound further with a series of mind-blowing live shows later on that decade. This writer has especially fond memories of watching Innerzone Orchestra perform as a fully-fledged jazz band in the Detroit tent at 1997’s Tribal Gathering in Luton. “Innerzone Orchestra — that was a major experiment for me as an artist,” Craig recalls. “To have these amazing jazz musicians, people like [UK saxophonist] Alan Barnes and the drummer Francisco Mora (formerly of the Sun Ra Arkestra) play with you and to bring them to a club gig, everything you thought about techno gets blown away — you are defying expectations of what techno is about,” he adds. In more recent times, this kind of collaboration has become more commonplace. Apart from Craig’s project, Actress and Jeff Mills have worked with classical musicians and Goldie has used the Heritage Orchestra to re-do both ’Timeless’ and his new forthcoming album ‘The Journey Man’, while at the more clubby end of the spectrum, Graeme Park and Mike Pickering have collaborated with an orchestra to reinterpret big tracks from the legendary Hacienda club as ‘Hacienda Classical’. Like Craig, Mills has worked with orchestras for the best part of a decade. What does Craig make of his fellow Detroit native’s work in this area? 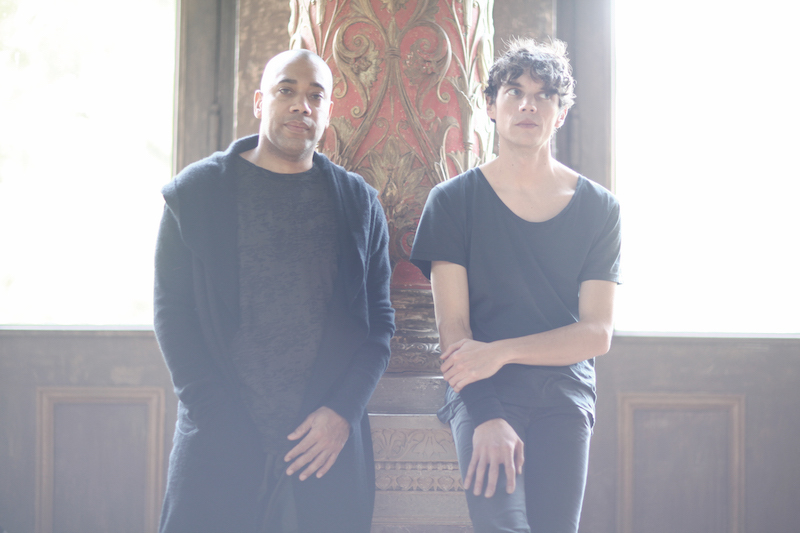 “Jeff is a visionary; he has been a trail-blazer in the integration of techno music and classical, but the direction he headed in is different to mine,” Carl believes. Taking this approach is likely to demystify Craig’s music and introduce it to many, but does he feel there is also a danger that ‘Versus’ will be preaching to the converted, e.g. a techno audience? “I believe there will be a wider audience, there will be people who will want to see what it is really about. They might love electronic music but are also curious about what it sounds like or works like with an orchestra,” he says, and points out that it may inspire some people to explore Detroit techno’s rich heritage. Not that there’s anything wrong with getting old. Having spent the best part of a decade developing a one-off live performance into an album, Craig has no plans to take early retirement or fade into obscurity. 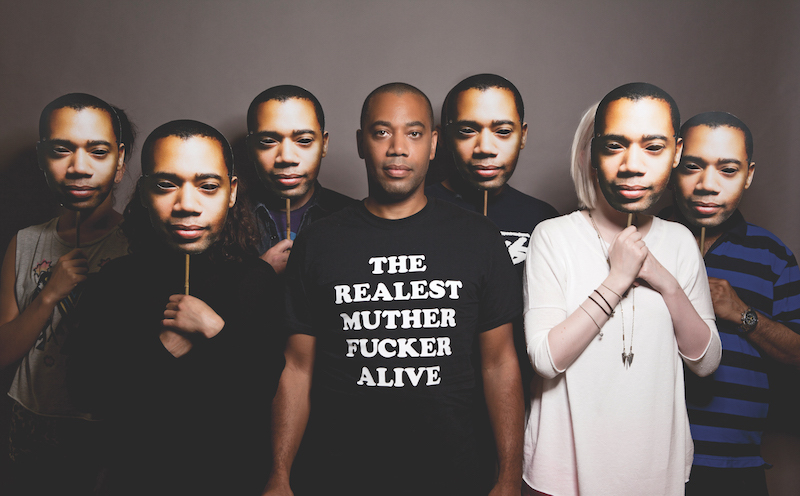 While the first and second waves of Detroit techno producers are in their 40s and 50s, Carl does not see age as a barrier and draws inspiration from people who have worked with music their whole lives. “See, that’s why I respect guys like Clive Davis (founder of Arista and J Records) and Quincy Jones, these cats who have been in the industry for so long. I mean Davis, he was always discovering new artists, he was 66 at the time when he discovered Alicia Keys. I respect these industry people who have been around for years, say someone like Ahmet Eretegun (founder of Atlantic Records, who signed The Doors). That is the type of person I would like to be,” Carl says.